What inspires me most to write the novels I've written? Fear! One of the most common questions I hear as an author is: "What inspired you to write this novel?" If I were to answer 100% truthfully, my answer is: "Fear." As a suspense author, my goal is to tap into the deepest of fears and make them one hundred times more terrifying. I am always asking, "What are you afraid of?" In DIVINE INTERVENTION, I deal with the fear of not being accepted for who you are. I also explore the fear of being hunted by a serial arsonist. I'm sure most of us can identify with the first fear, but hopefully none of you can identify with the latter. This thriller also deals with the fear of the unknown, of past events and secrets. Or of moving on with one's life. In THE RIVER, I deal with the fear of discovering that a father you thought was dead was actually alive...and in danger. It also touches on the fear that the world as we know it may end much sooner than we think. There are many who fear conspiracies, and that is a key factor in this thriller. How are we changing this world for the worst, and at what point have we become God? In my thriller, CHILDREN OF THE FOG, I explore every mother's worst nightmare―the fear of losing a child. What's more, I take this to a more terrifying level by delving into the fear of having a child abducted and of having the main character make a terrible choice: to let a kidnapper take her child, or watch her son die. What would YOU choose? 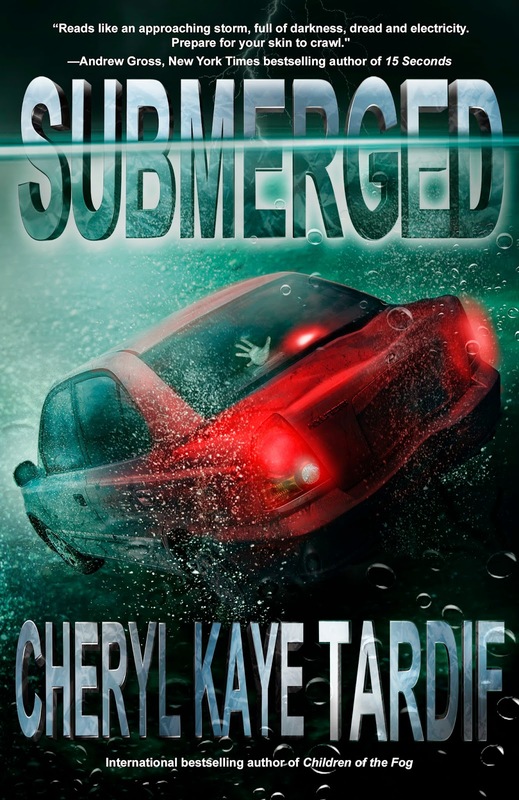 And in my psychological thriller, SUBMERGED, I explore one of my own fears—the fear of being trapped in a car that is submerged underwater. Just the thought of this happening makes my breath freeze in my lungs and makes my fingers curl. I can imagine the fear, the burning water in my nose and lungs, the moment when I know I can't hold my breath any longer…and the realization that I'm about to drown. When my husband and I are traveling, I am always leery of driving too close to the edge of the road if water sits at the bottom of an embankment. When writing this novel, I often found myself holding my breath and then gulping in air when I finally remembered to breathe. And now I have an important question to ask you: What are YOU afraid of?